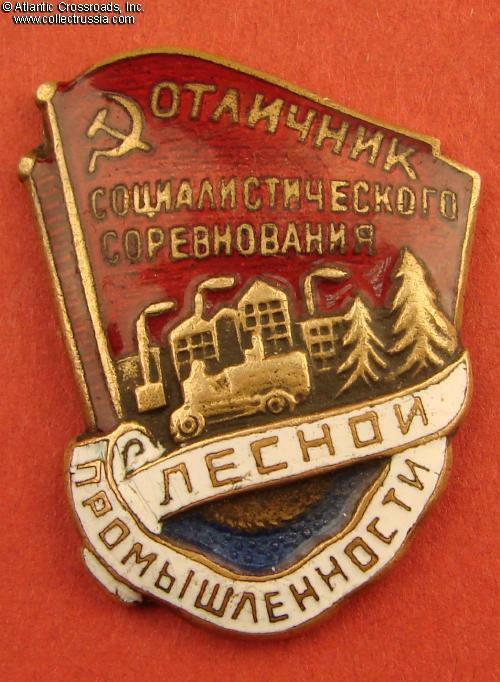 Badge for Excellence in Socialist Competition, Timber Industry, #17276, 1946 - 1950s. Brass, enamels. Measures 30.0 mm tall, 23.4 mm wide. 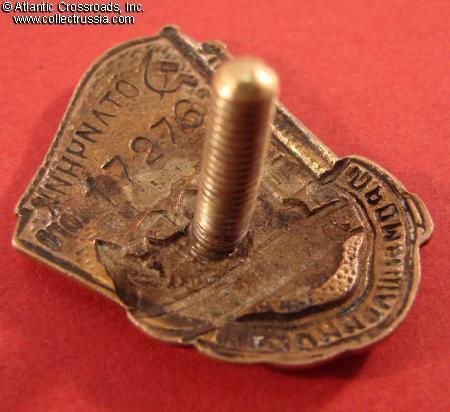 Early style, stamped serial number to the reverse. In very fine to excellent condition. The enamel shows minor surface wear and buffing but no flaking or chips. Details of the design are very well defined. 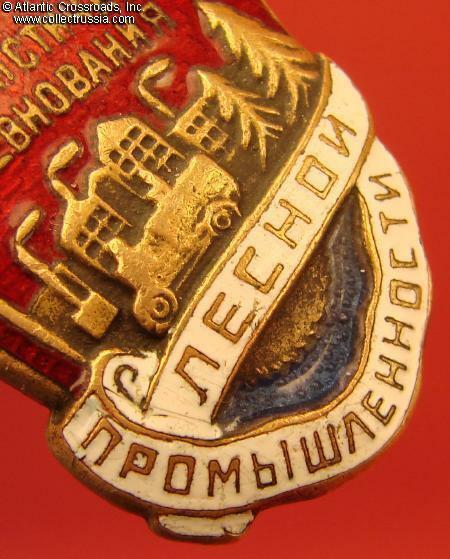 Comes with original screw plate marked "MTKh (Moscow Artists Cooperative) Enamel Workshop". Since nearly the first days of the Soviet Union, Soviet timber industry relied heavily on forced labor. 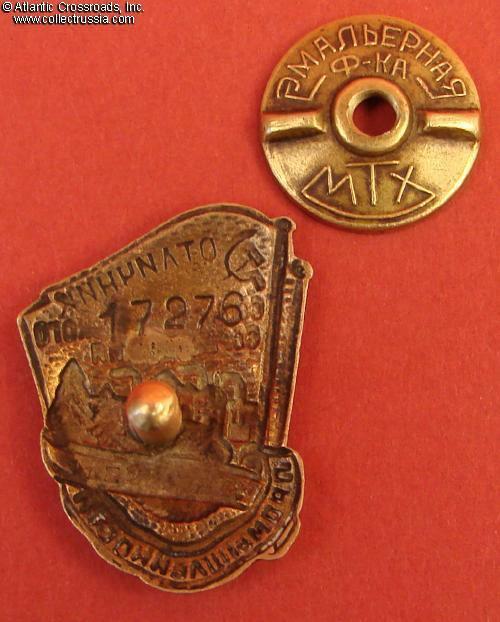 Many of the recipients of its "Excellence" badges were prison camp guards and supervisors; in some cases the award could be given to a recent parolee or even a partly "rehabilitated" prisoner.